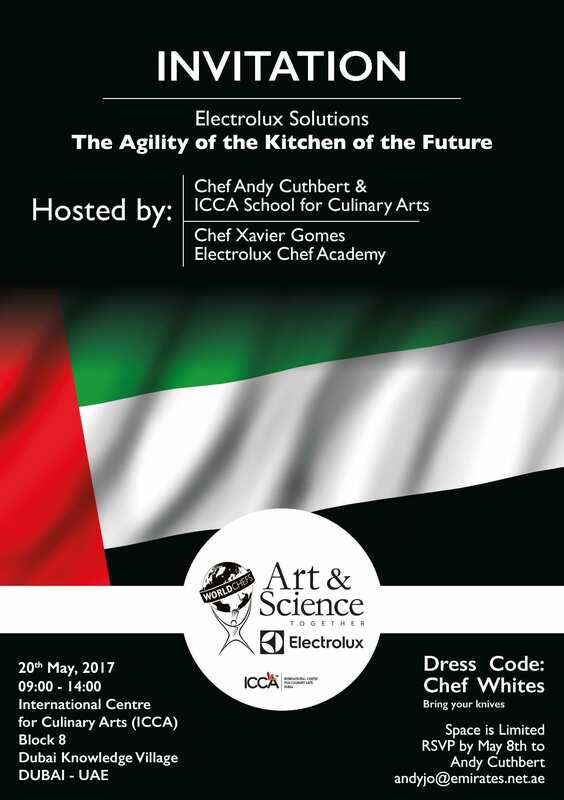 Art & Science Seminar as part of the partnership between Electrolux & WorldChefs took place in ICCA, Dubai last Saturday 20th May gathering Senior Chefs and industry influencers aiming at delivering different formats of Demo and Round table discussions on relevant to food industry topics such as Agility of the Kitchen of the Future. During the session, there was also an insight from Kitchen Design Specialist on how technology could help Chefs remain agile in high paced, competitive environment of today. All Senior industry professionals in attendance agreed that the change in the food industry these days is so fast that they need advanced technology in their kitchen to be able to stay on top of their game: saving time, energy, labor. And Experience and solutions such as Speedelight, Pressure braising pan, Cook&Chill help Chefs to keep up with the pace, be less stressed whilst still producing great quality Dishes.